Image Comics recently announced the full-length 43rd issue of Brian K. Vaughan and Fiona Staples’ multiple Eisner Award-winning series Saga will be priced at $0.25. This new issue’s low price celebrates Image Comic’s 25th anniversary. 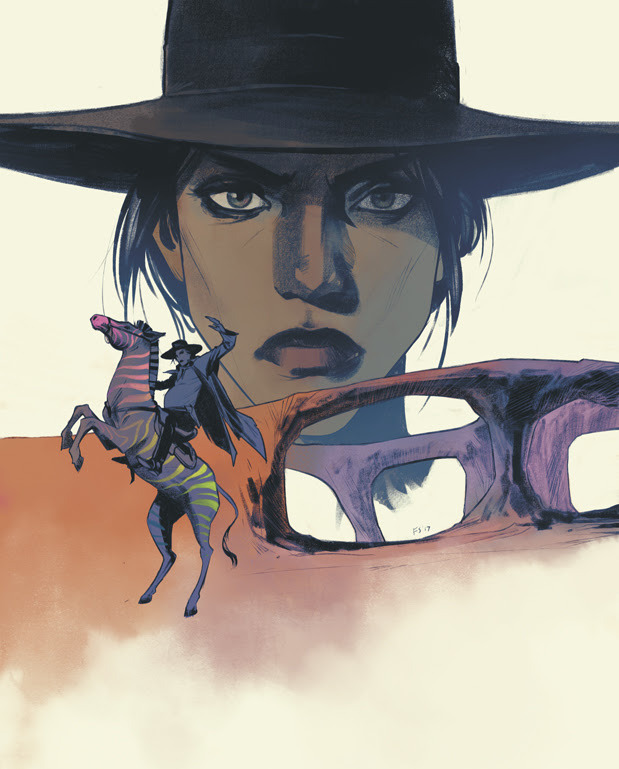 Saga #43 offers a fresh jumping-on point for new readers, as Hazel and her star-crossed parents embarking on a thrilling new adventure at the westernmost edge of the universe. “I am so proud of this issue, and excited for our craziest storyline yet!” said Vaughan. “Fiona and I wanted to thank our incredible readers for five years of loyalty with this special $0.25 issue, but we also hoped to encourage anyone who hasn’t yet read SAGA to finally dip their toes in our water (eww). Also, limited quantities of a commemorative Image 25th-anniversary print featuring exclusive and all-new Saga artwork by co-creator Fiona Staples will be available in limited quantities. The new print will have a color version, B&W version, and a signed color version. Contact your local comic shop for more info. The print is scheduled for release on May 31st. 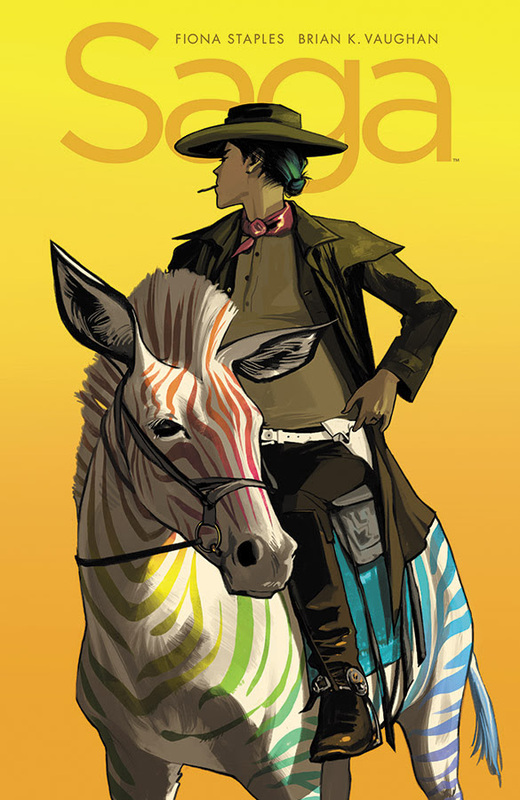 Saga #43 also hits comic book stores on Wednesday, May 31st.